College Day 3 - Outfit & Makeup! My third day of college went well! Wasn't in until 11, but I was finished at 4 so the day seemed quite long. 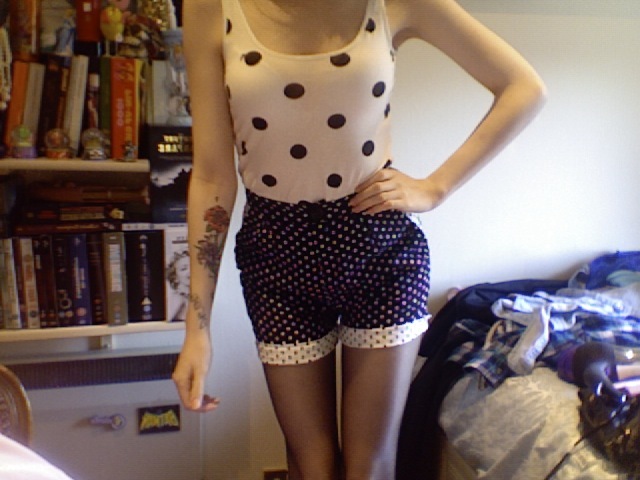 It was sunny enough this morning, so I ventured out in quite a Summery outfit. 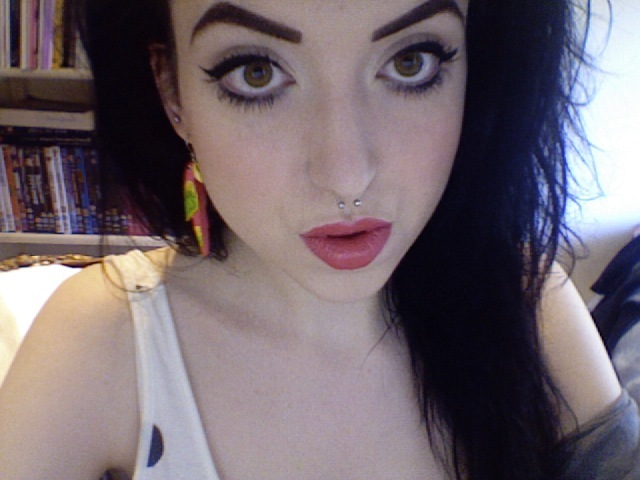 I regretted that the minute I stepped outside however, as it was freeeezing - typical! 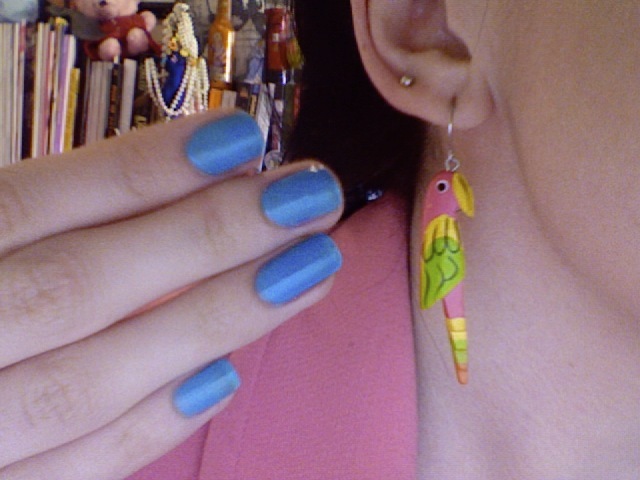 Nail polish is blue Glo Baby Glo and my Parrot earrings, both from Penneys! 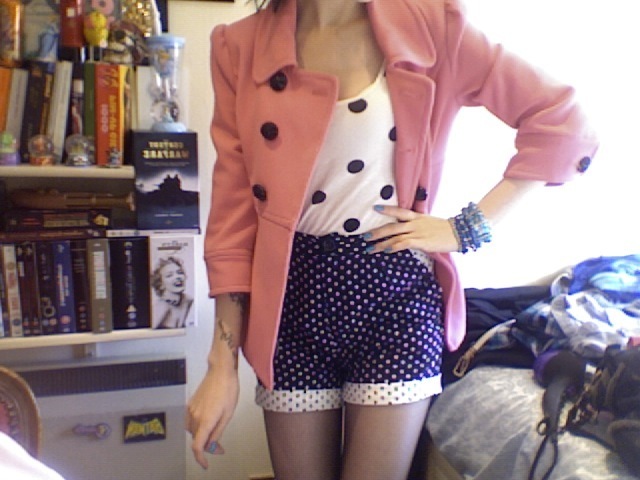 Was in the mood for print today so I got a tad carried away with some polka-dots! Vest - H&M, Shorts - Urban Outfitters. 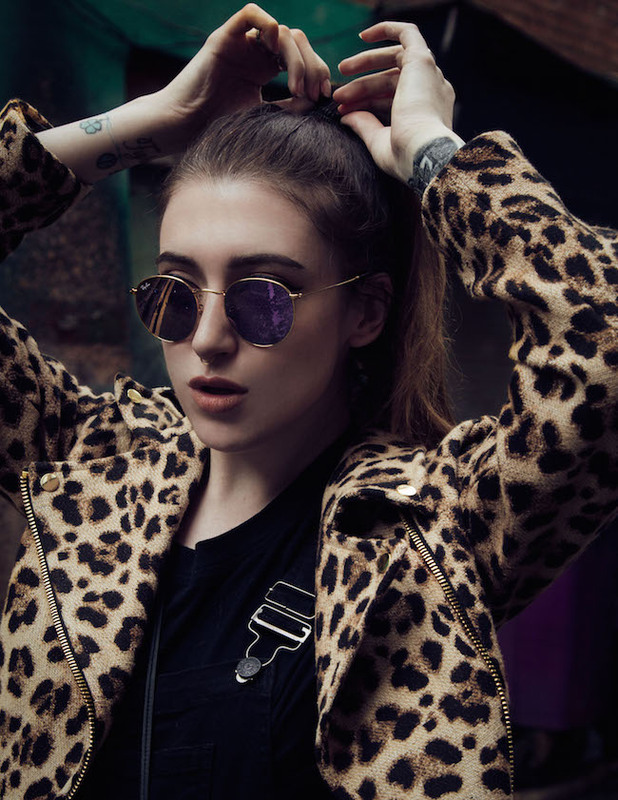 My favourite jacket! A gorgeous pink 60s style coat, from Penneys!